Gas safety certificates are required annually and are to be issued by a Gas Safe registered engineer. Heat Pumps Systems – How They Work? 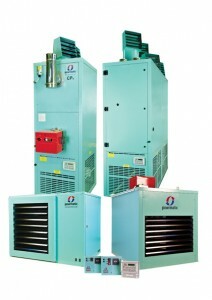 Heat pump systems are air conditioning systems that can be used both for cooling and heating. The principle of a heat pump system being more efficient is that they are able to reverse the process of transporting heat from one place to another. Heat your building with energy absorbed from the air around you – air source heat pumps absorb heat from the outside air. This heat can then be used for fan coil units, air handling units, radiators, or warm air convectors and even hot water in your building. The EER is the ratio of the output of cooling or heating compared to the input of power. If an electric heater consumed 1 kW of energy and provided 1 kW of heat the EER would be 1 or is often referred to 100% efficient. As a heat pump system absorbs heat from a renewable source typically they have EER’s of approximately 3 – 4 or 300 – 400% efficient. This compares to an average boiler with an efficiency rating of 78% based on figures provide by the Energy Saving Trust. Typically there is only a slight difference in the installation cost when installing a heat pump system compared to a cooling only air conditioning system. We can assist and advise at the initial enquiry stage on the feasibility of installing a heat pump system. Being on the F-Gas register and accredited by Refcom we can supply, install, commissioning and maintain heat pump systems of leading heat pump manufacturers including Daikin, Mitsubishi, Toshiba, Sanyo, LG, Fujitsu and Hitachi. RLBS can undertake air conditioning inspections for buildings. The Energy Performance of Buildings Regulations 2007 requires all air conditioning systems with an effective output of more than 12 kW to be regularly inspected by a qualified energy assessor. The inspections are valid for 5 years. In the event that there are any alterations or modifications made to the system then a new inspection may be required. • A full inspection of the plant. • A compliance check i.e. F-Gas register on site, leak inspections etc. • Any recommendations that may be required. RLBS is committed to a safe working environment. We promote a strong health and safety culture and provide ongoing training to all employees. Engineers receive regular Health and Safety training to comply with customer requirements. Company is CHAS registered and undergoes an annual audit. Powrmatic are the industry leaders in manufacturing heating equipment which include energy efficient warm air heaters for commercial and industrial properties. With over 60 years experience in the UK heating market, Powrmatic have solutions for all your industrial heating and commercial heating requirements. We are the brand of choice for many contractors, and our name is synonimous with quality and expertise. Our heating products are designed with versatility in mind, and as such we can supply a wide range of products including floor standing, roof mounted and suspended heaters. Our continuing focus on energy efficiency and continuous improvment means our products are the most cost effective in the marketplace. From our purpose built manufacturing facility in Somerset, England, our research and development team continue to provide us with innovative solutions which will exceed your expectations. With RLBS and Powrmatic you get the best of both worlds highly efficient, reliable and stylish equipment combined with quality installation and after care from RLBS. Europe’s leading manufacturer of gas-fired radiant heaters and foremost supplier of warm-air systems and air curtains. 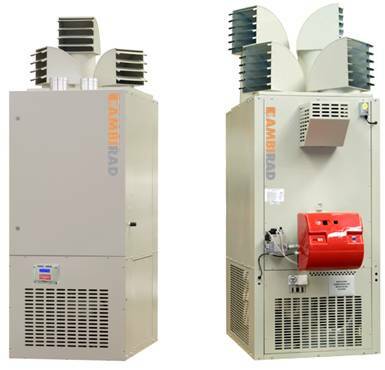 AmbiRad’s mission is to continue the development of its world class status in the provision of energy efficient heating solutions. The company strategy is to meet the needs of industrial and commercial customers worldwide through a supply-based service to contractors, specifiers and facilities managers.